Wet hands? Sweaty hands? Palmar Hyperhidrosis is excessive sweating in localized areas like the palms or the soles of the feet. Between 1% and 3 % of people are affected by this problem of the sweat glands. Socially, sweaty hands are embarrassing. Physically, activities can be curtailed because of a lack of grip. Psychologically, this disorder of the sweat glands can be debilitating. There is good news. A treatment to decrease the amount of sweating from the hands has been documented in the February 2013 Journal of Hand Surgery. This procedure that uses Botox has been shown to reduce the excessive moisture produced in the palms. Dr. Hobbs has experience in treating sweaty palms with this product. Call to learn more. Fingertip injuries are common traumatic events that may occur in many different types of situations, resulting in crushing, tearing or amputating the tips of the fingers and thumbs. These injuries may affect the skin, soft tissues, bone, nail or nail bed and can cause severe pain, swelling bruising, bleeding and more. Without an x-ray the extent of injury or foreign body in the tissues may be missed. 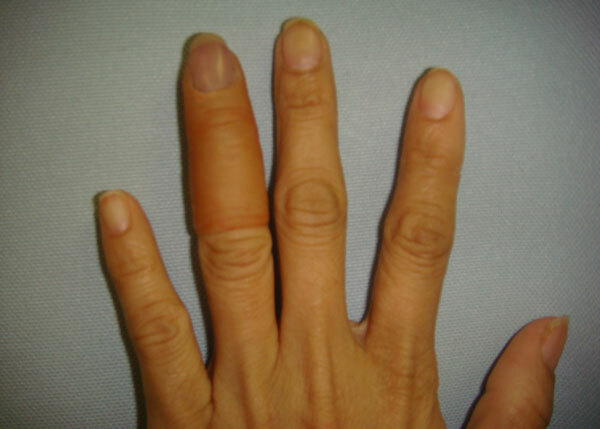 Patients should seek immediate treatment after fingertip injuries to optimize the outcome. Early treatment reduces the risks of infection and may, by early splinting, eliminate the need for surgery later. To relieve pain and swelling it is very important to keep the hand elevated above the heart at all times for the first week. 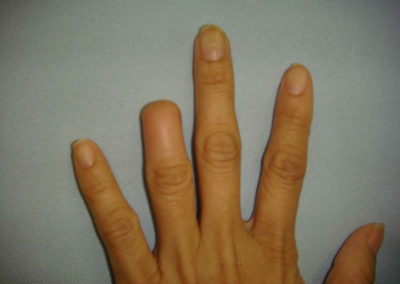 Each fingertip injury is unique and will be treated according to the exact injury. Treatment may mean simply suturing the skin, performing a flap to cover an exposed tip, removing the nail to allow repair of the nail bed, or internally stabilizing fractured bones. 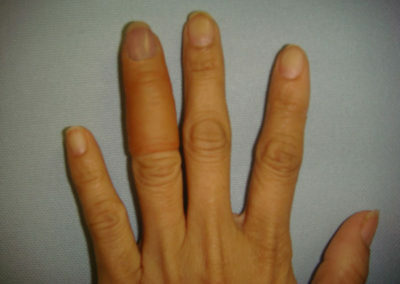 It will take several weeks before the finger is fully healed, during which time it will be wrapped in a dressing or supported in a splint. Read more on Fingertip Injuries HERE.